Is there a way to really profit from stock declines and market crashes? Yes there is and the way to do it is by shorting stocks. 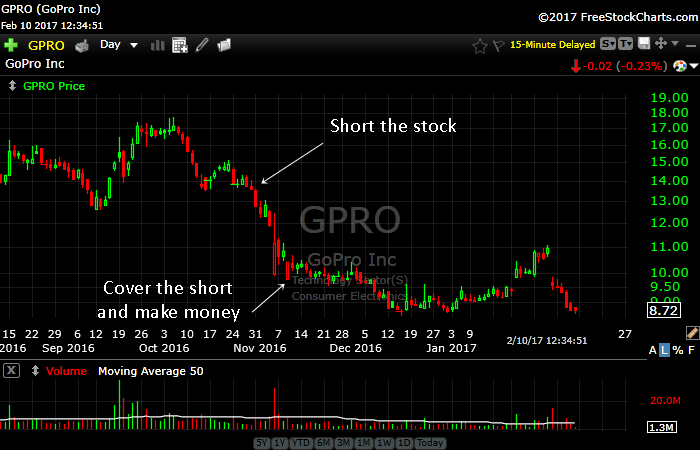 For those who do not understand the mechanics of short selling, just take my word for it that you can make money when a stock drops. The benefit of short selling is that you get to participate in the decline of a stock and make money from that decline. There are however risks that apply to shorting a stock. 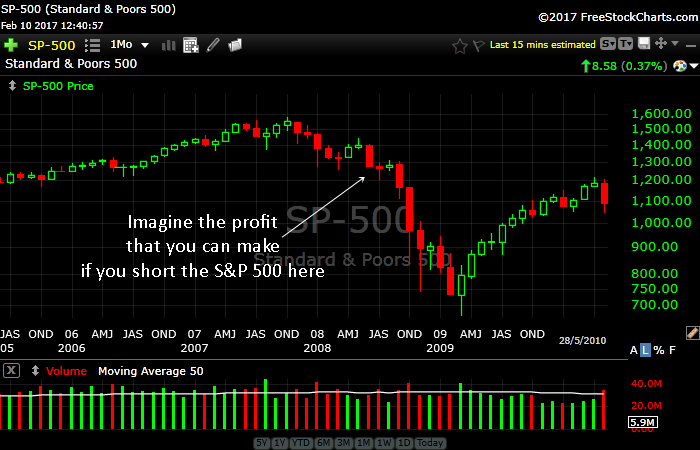 Such as when the stock gaps up and move way above your shorting price. In theory, your loses can be unlimited. However, with proper money management and a sound strategy, short selling can be a very lucrative and profitable trading strategy. Do remember that stocks fall 3 times faster than they rise. So you not only make money when a stock falls, you get to make it faster as well. A good trader can make money whether the stock market is in a bullish run or in a bearish run. 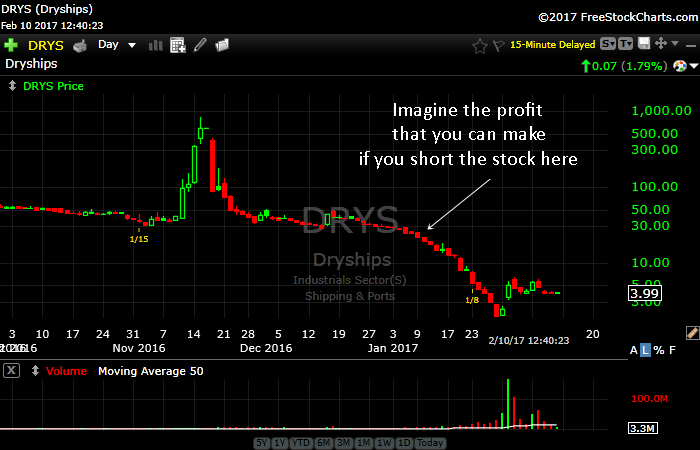 As you progress in this course you will learn that shorting stocks is just as easy as buying a stock.